How does machine translation work, who uses it and for what purposes? What is post-editing and how can I start using it? My workshop aims to give answers to these questions and provide greater clarity about this new and promising field. I will also offer useful suggestions for starting to work with post-editing in a confident and profitable manner. You will be familiar with the most common machine translation systems in detail and will be able to manage a post-editing assignment from enquiry to delivery. 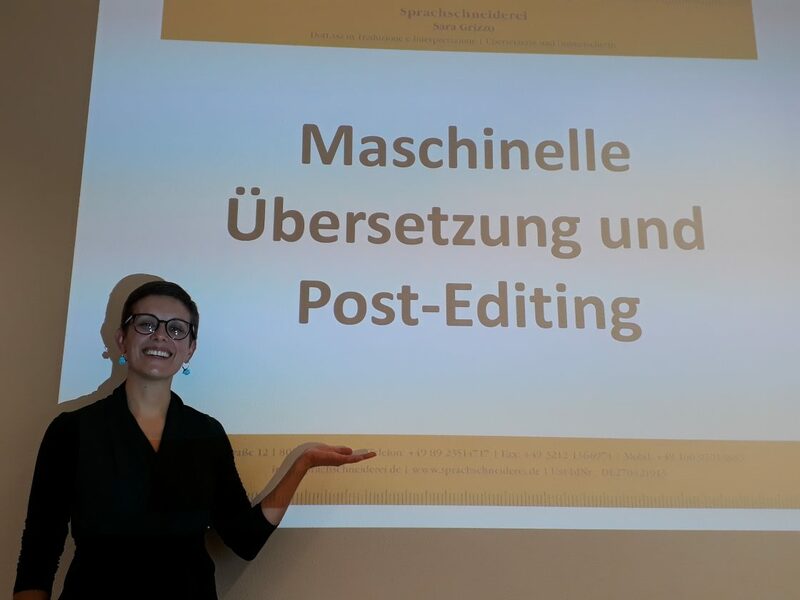 You will have the tools and contents necessary for deepening your knowledge of machine translation and post-editing and will be able to carry out these activities independently. The Bavarian office of the Federal Association of Interpreters and Translators (BDÜ) in Munich is located at Rottmannstr. 11. The best way to get there is by public transport, nearest station: Stiglmaierplatz (underground lines U1 and U7, tram numbers 20 and 21).